A high-quality traditional End Bath Panel & Plinth with a textured rustic oak finish, ideal for creating a period look in your bathroom. A inspired range of bath panels with a clean classical design blends beautifully with our range of traditional Devon bathroom furniture and sanitary ware. 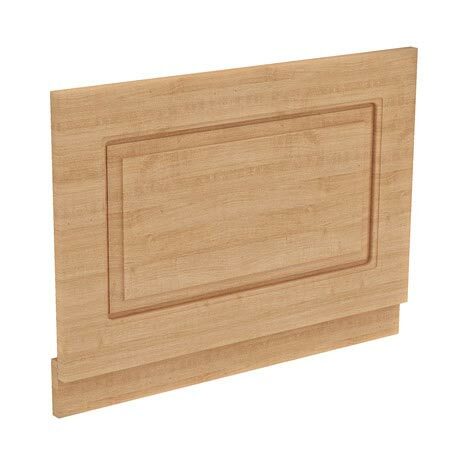 Each panel comes with a plinth to attach to the bottom of the panel to raise your bath an extra 100mm.